Rock on, parents-to-be! Only the truest fans will appreciate this very specific list of the best baby names inspired by heavy-metal bands, performers, albums and songs. Did your favorite make the cut? The late 1960s and early 1970s gave us the first heavy metal bands, including Black Sabbath, Deep Purple, and Led Zeppelin. The headbanger bands — Motörhead and Iron Maiden — arrived in the late ’70s. Over the next decade, it was all about the hair, with glam metalheads like Poison and Twisted Sister. The metal genre boasts a number of sub-genres, including funk metal, groove metal, death metal and grunge, among others. 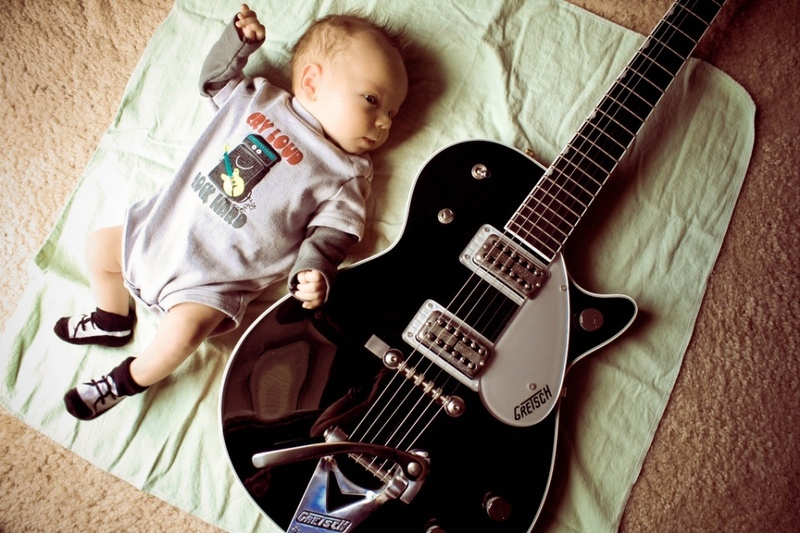 We’ve gathered the best of the best to give you a metal-inspired list of potential baby names for your rocker.